The Toyota Racing Development team continues to have its way with the automaker’s SUVs, and now it’s the turn of the new 2020 RAV4 to get the rally-inspired treatment. 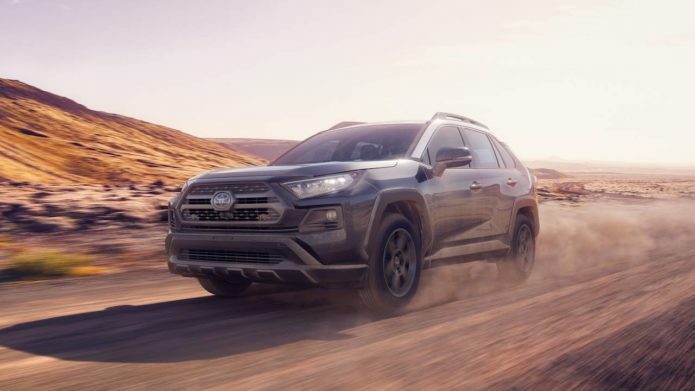 The 2020 Toyota RAV4 TRD Off-Road takes the fifth-gen compact SUV and gives it an even more rugged makeover, as previewed at the Chicago Auto Show 2019 this week. It’s the first time the RAV4 has been given the TRD service, with the SUV joining vehicles like the Sequoia and Tacoma. What’s important is that this isn’t some design package, changing the 2020 RAV4’s looks but leaving the mechanics unmodified.